Xenoliths, meaning 'foreign stones', arise when fragments of metamorphically altered country rock fall into magma or lava and become enveloped within igneous rock. 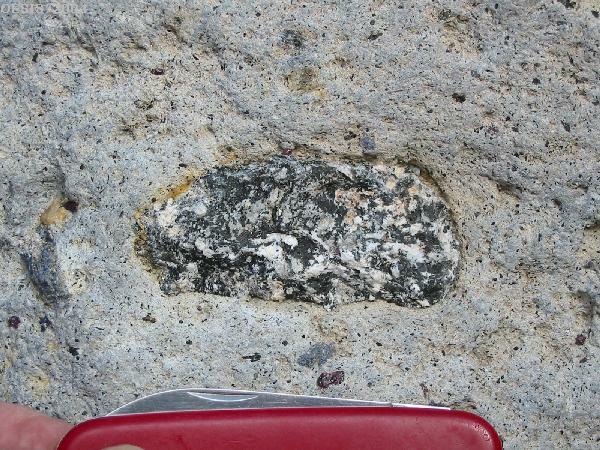 Xenoliths can be engulfed along margins of magma chambers, torn loose from the walls of a conduit for erupting lava or an explosive diatreme, or picked up along the base of flowing lava. Xenoliths can be quite large and xenoliths can occur in clusters within the plutonic rock or demonstrate dikelet intrusions by the magma. 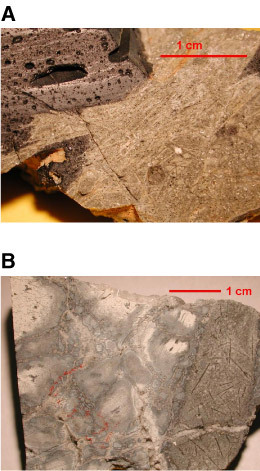 Xenoliths are distinguished from paleosomes, which are older bodies comprising refractory minerals that failed to melt within migmatites (in which more fusible neosomal minerals melted during Barrovian regional metamorphism).